People love to visit and shop at Christmas Markets and London has an array of Christmas Markets on in 2016 where you can buy items that are made with love. Here is our definitive guide to the best Christmas Markets to Visit in London 2016. Who needs the high street when there are so many fabulous London Christmas Markets to shop at instead. Shop local and support independent business this Christmas by shopping at London’s Christmas Markets! In our definitive guide to the best Christmas Markets to Visit in London you’ll find the very best Handmade Christmas Markets, Christmas Craft Markets, Christmas Designer and Maker, Christmas Food Markets, Christmas Vintage and Collectors Markets, Christmas Festivals and more. 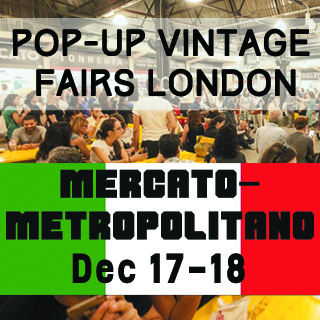 This weekend visit Pop-Up Vintage Fairs London for this vintage weekender at Mercato Metropolitano– a fantastic new Italian Urban Street Food destination. Not only will you get to shop from some of London’s best vintage and retro sellers, you can also fill your festive food cravings! Shop Italian produce just in time for Christmas and eat some fab Italian street food. Just 5 mins from Borough and Elephant and Castle. Find out more. 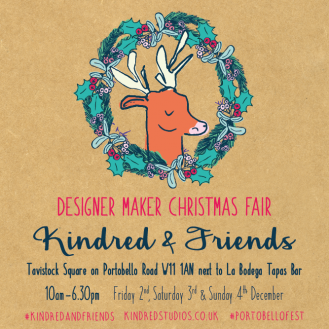 North Kensington’s Kindred Studios are launching their first ever Kindred & Friends Designer Maker Pop-Up on Friday 2nd, Saturday 3rd & Sunday 4th December 2016 as part of the Portobello Winter Festival. There will be a huge festive makeover for the world-famous vintage market, pop-up stalls from locally based designers and Christmas rum shack with music and kids activities. Find out more. 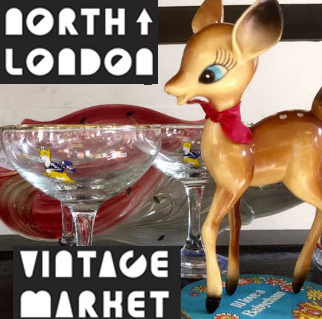 North London Vintage Christmas Market is your alternative vintage and retro, Xmas shopping experience taking place in Crouch End over two days on Saturday Dec 3 and Sunday December 4 2016. Take a trip down memory lane. Find out more. The Escape the City Winter Market is great for anyone who wants to start their Christmas shopping early. Expect to find creative designers, makers and artists showcasing their fizz. This happens on a Friday evening in Bank on November 11. Find out more. 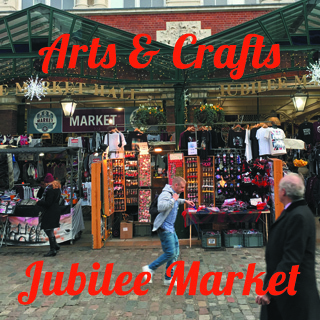 Every weekend at the Jubilee Market in Covent Garden you can shop a wide range of handmade arts & crafts from an eclectic mix of creative businesses. Find out more. Just in time for Christmas, The Urban Bazaar is a little gem of a market is definitely worth a visit. 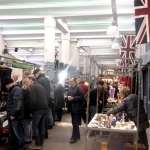 A collection of stalls selling designer/maker, vintage and artisan gifts and produce. Their Christmas market is bring held on Sunday December 4. Find out more. If you want to shop alternative this Christmas or if you want to find that show-stopping Christmas outfit, then you must add Pop Up Vintage Fairs Hampstead Christmas Extravaganza to the agenda! It’s a stunning location, perfect for some Christmas shopping and festive cheer. Find out more. The creative East London collective are holding a Christmas Night Market on Friday 25 November at the William Morris Museum. It will feature 20 stalls for Christmas shopping, the switch on of the William Morris Gallery Christmas tree, children’s activities, festive food and drink and the chance to view the gallery displays after hours. Find out more. This is a hedonistic Christmas Market filled with creative craziness! Fierce stalls, Rip-rocking DJ’s and DIY workshops. Don’t miss this. November 27 at York Hall, Bethnal Green. Find out more. Mayfair Christmas Market will be a festive winter warmer. Hosted by Novikov Restaurant & Bar this 2016 market will be bigger and better than last year. Held over two days Mayfair Place will be traffic free. Find out more. The Hyper Japan Christmas Market returns to London for a sixth year this November 25-27 with a Christmas market celebrating Japanese culture, design, shopping food and drinks. If you can’t afford the air fare, then this is a great way to experience the weird and wonderful, quirky brilliance of Japenese culture. Find out more. Visit London’s biggest antiques market just in time for Christmas. 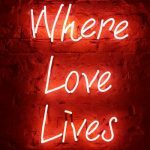 It’s a great place to find unique gifts for your loved ones. 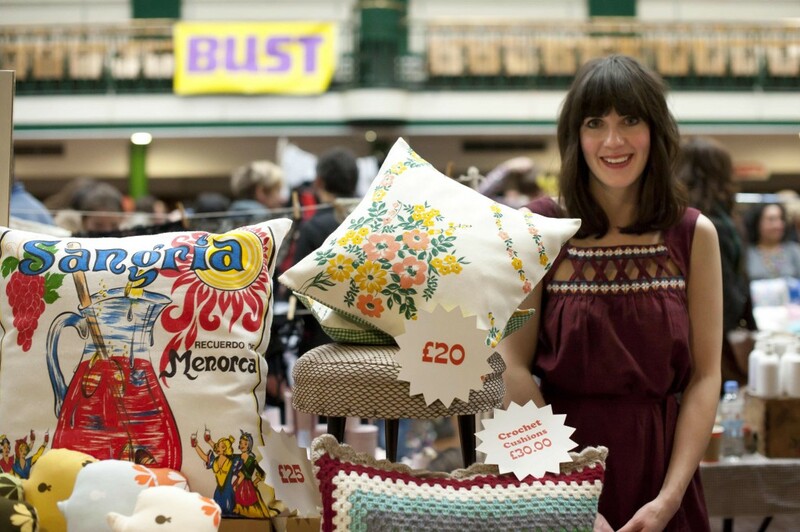 Pop-Up Vintage Fairs London will also have a festive array of stalls full of unique gems. BBC’s Bargain Hunt expert James Lewis of Bamfords will also be on hand to offer free valuations Find out more. The hugely successful Christmas Market at the historic North End Road market in Fulham will be held on December 3 from 9-5pm 2016. The popular traffic-free Christmas market is coming back to North End Road in Fulham and will once again be packed with gifts, food and entertainment. Find out more. 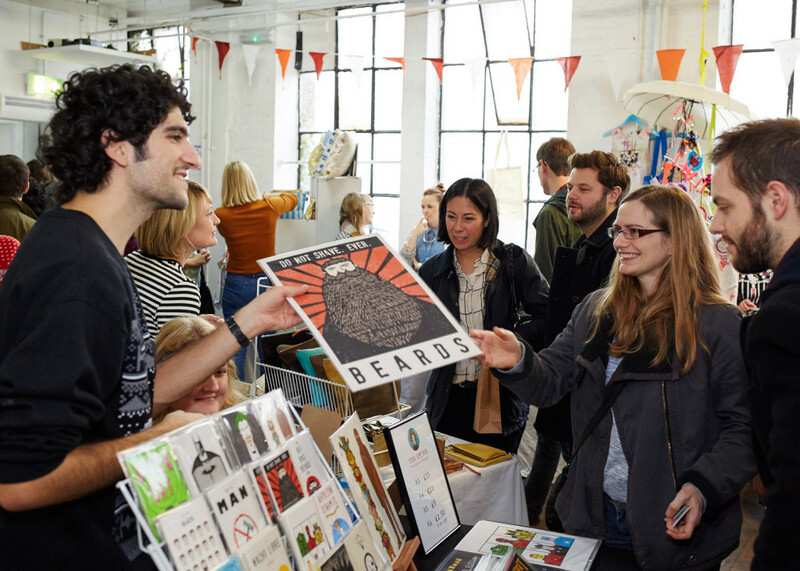 Join London Local Christmas Market: Etsy Made Local Crouch End on December 3 and 4th 2016 for a weekend of crafting and creative shopping. Find out more. Held on small business Saturday on Dec 3rd 2016, this is your chance to shop small and shop local in Brixton. Showcasing the talent of local artists and design-makers. Come and discover handmade crafts, delicious food and live music. Find out more. A festive Christmas Market in the heart of Stoke Newington. 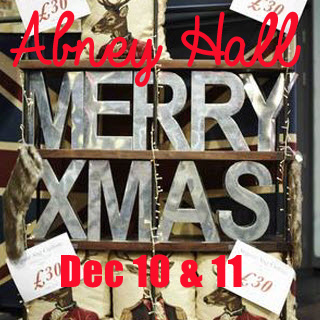 Abney Hall Christmas Market held on the weekend of December 10 & 11, will host a variety of festive gifts, treats and shopping. If you’re a trader apply for a stall! Find out more. 2 days of crafty magic, held on the kings Road in Chelsea. Who needs the high street? With over 80 hand picked exhibitors, there are some really unique quality product. December 2 and 3, 2016. Find out more. Peckham’s favourite Christmas Market returns to where it all began on. Visit Pexmas Festive Market on 10th & 11th December 2016, Warwick Gardens, Peckham. Find out more. Urban Makers East Christmas Market takes place on December 10 and 11 at the Mile End Ecology Pavilion. It will be bursting with creative cheer, with over 50 designer makers trading each day selling jewellery, art, ceramics, textiles, homewares and more. Find out more. The White Christmas Fair will pop up at Tooting Market on Saturday 17th December 2016, for one special evening of late night shopping. This annual festive event will, once again showcase a handpicked range of independent designers, talented makers and beautiful brands. Find out more. Well with so much booze on the ready, we expect the 12 hour Brewhouse Xmas Fair to be a good one! A refreshing alternative to the consumerist dogfight of Christmas shopping in central London. Take place on December 21. We love a festive church Christmas Market! Made with Love will be a vibrant pop featuring local artists, designers , local crafters and small businesses. Held in Borough on December 3. Find out more. This year the 2016 Islington Christmas Market will feature traditional Christmas chalets and be a festive feature of Angel shopping centre from November 21. Find out more. 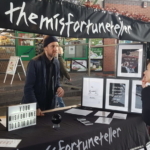 Amazingly talented designer makers, with unique gifts to suit every budget. Mulled wine, thai massage and charity bake sale, will all get you in the festive spirit. On Saturday Nov 26, 11am-5pm. Find out more. In it’s 30th year the Friends of Langley Park School for Boys Christmas Market & Craft Fair returns on November 27 providing festive cheers, handmade shopping, locally sourced produce and mulled wine. Find out more. The Sutton House Christmas Fair should be sweetly added to your Christmas Market hot list! The Fair will include an indoor winter wonderland featuring designer stalls and high quality food and drink vendors curated by City Showcase. Sutton House will also host entertainment including carol performances, film previews, local theatre productions and more. It runs daily from November 26 – December 18. Find out more. Christmas shopping with soul! Crafty Fox never fails to showcase the very best crafty designer and maker talent. This year’s 2016 market is curated by Zoe Pearson, UK Marketing Manager for Pinterest. Crafter Fox Christmas Markets will be held in Brixton, Peckham and Hoxton. Visit Hampstead Christmas Craft Fair on December 10. Perfect for Christmas shopping with lots of Makers and Artists selling their unique creations. Find out more. Do you have a Christmas Market to promote? Post it for free and be sure to tweet us your festive market noise. Email for Promotional Market Packages and Advertising on I Love Markets.